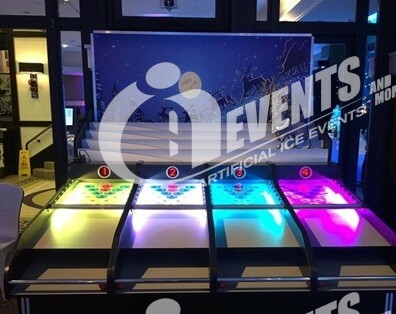 artificial ice events has EXTRAs that will make your event EXTRA Special! 3…2..1…SURPRISE!!!! What a better way to put a smile on a child’s face than to give them a HUGE HOLIDAY Gift? 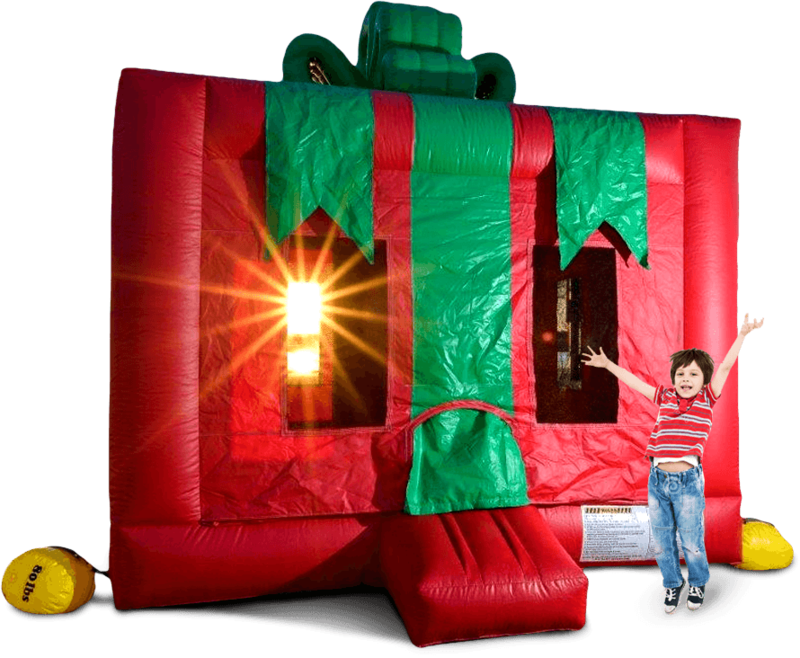 This Gift Box bounce house will not only leave your child speechless, it will bring bouncing joy to your holiday themed event. This is going to the one box you don’t mind children playing in! On Prancer, on Dancer, on Comet… GO! A wintery twist on the most classic game of Roll-A-Ball. 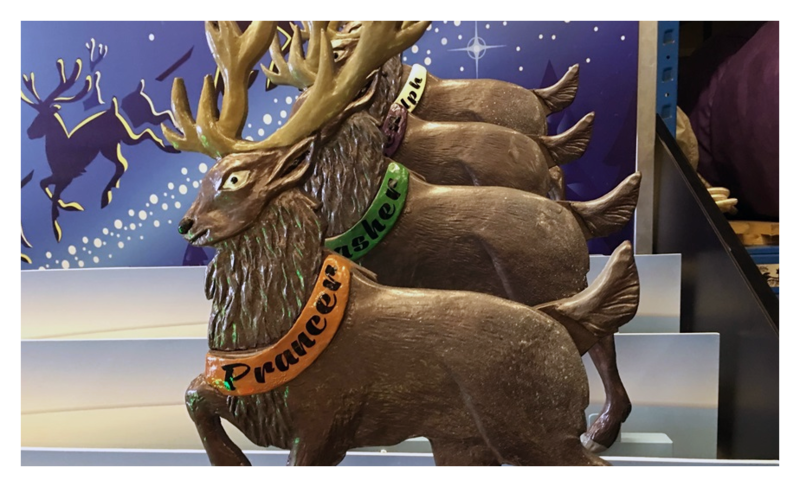 Players will roll their balls up the play field and through the colored holes to score points, the more points they score the further their reindeer moves along the track. First one to the end is the winner! 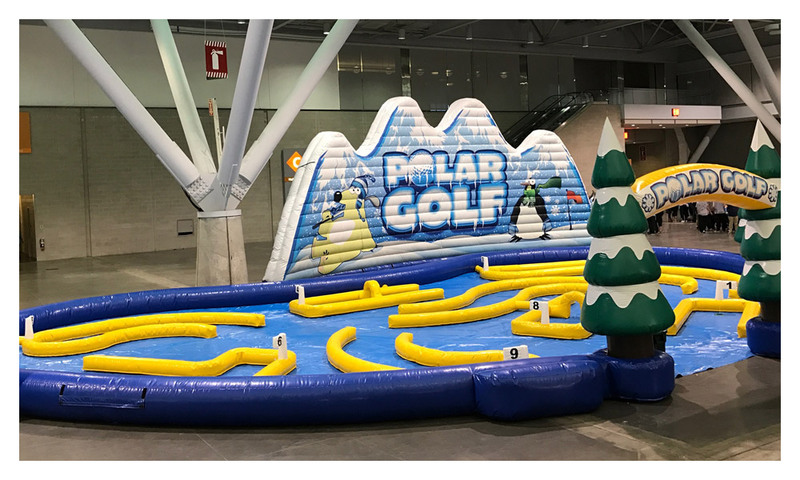 Introducing Polar Golf! 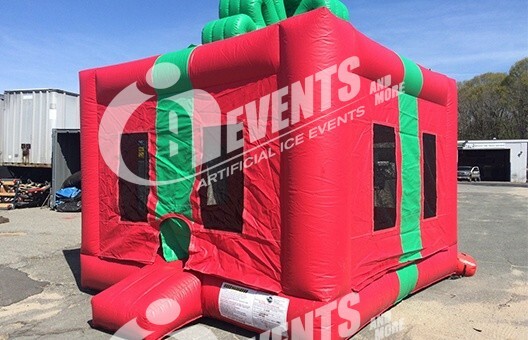 Our newest winter attraction is sure to have guests at your next event blown away! 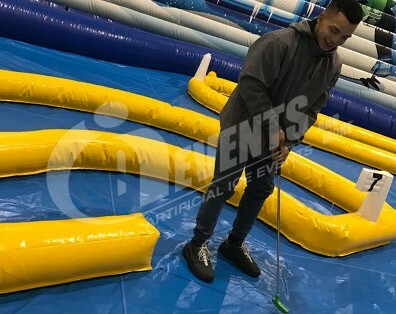 Our 9-hole, fully inflatable golf course measures 60’ X 40’ X 15’. Test your skills putting around our bends, turns, ramps, and trick holes! Have your guests compete in a 9-hole tournament or just have them enjoy shooting around a fun putting green. You’ll get the summer feel of golf built into your next winter event! 2 themes to choose from! Prepare to fulfill your wildest childhood imaginations about working in Santa’s toy shop. Elf Yourself takes the idea of antique photos to new heights as high as the North Pole. With a toy sack full of dress up Elf clothes, scarves, and hats. Elf Yourself puts you in the scene. Walk onto our intricately designed set detailed to give you the feeling of the life of a miniature toy maker. 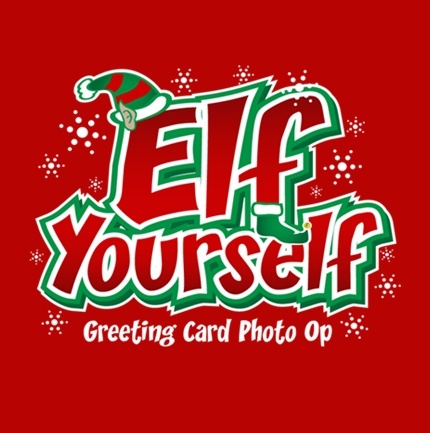 Before you know it, you’ll be leaving the mall department store and shopping in the elf wear section of Elf Yourself. Upon returning to reality, you walk home with a greeting card of your newly elfed self as a keepsake memory to send to your closest family and friends. It cute, its slapstick, its fun for all ages and it can be yours. 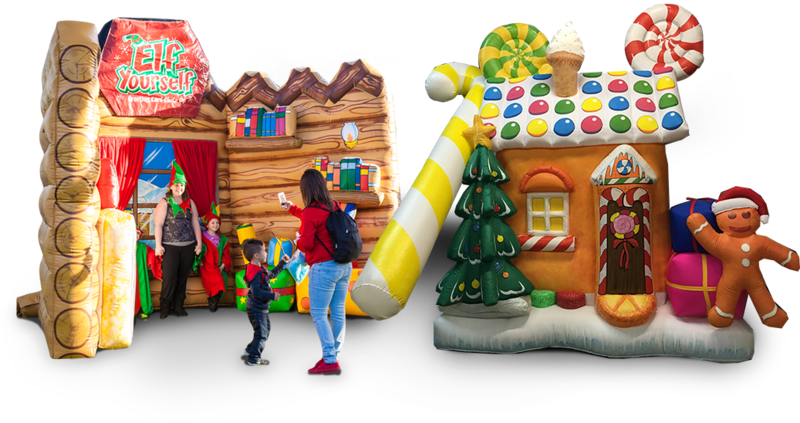 A custom gingerbread themed inflatable that is perfect for your holiday themed event. 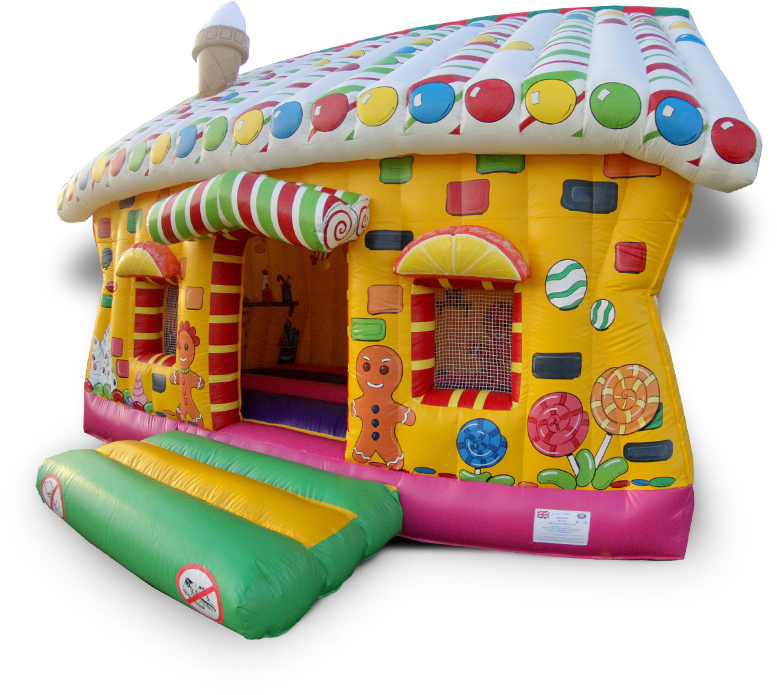 The unit is completely enclosed so it gives children a different bouncing experience compared to the traditional inflatable. 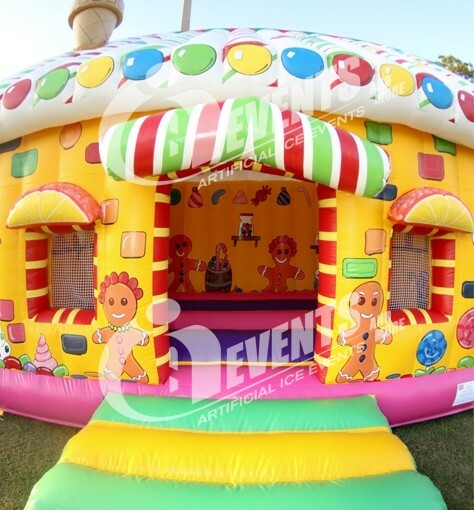 The artwork is intricate and the unit is exceptionally eye catching, a perfect centerpiece to a kids Christmas event. This unit was custom made and is one of a kind here in the U.S. Ask about our gingerbread making kits as an add on.